"ReverseVision is focused on serving its loyal base of reverse mortgage lenders with superior technology solutions and expertise across all aspects of your business," said ReverseVision President John Button. "Adding Mark, a professional of unparalleled expertise, and better leveraging Joe's origination background, helps us better serve our clients and the industry." SAN DIEGO, Calif., March 6, 2014 (SEND2PRESS NEWSWIRE) — ReverseVision ( http://reversevision.com/ ), the leading software and technology provider for the reverse mortgage industry, is pleased to announce that industry expert Mark Johnson has joined our team in the role of Customer Service Manager. Johnson, who brings more than twenty years of reverse mortgage expertise, replaces Joseph Rinner who has moved into the role of Product Manager. Prior to joining ReverseVision, Johnson played lead roles with reverse lender mainstays such as Generation Mortgage, Financial Freedom and Unity Mortgage. By hiring Johnson, ReverseVision can now shift Rinner’s attention to designing new tools focused on helping Originators to be more successful. ReverseVision recruited Rinner last year to draw upon his practical knowledge and experience in the industry. Rinner played various origination roles with leading lenders including AAG, Liberty Home Equity Solutions, and Generation Mortgage. He has personally closed hundreds of reverse mortgages, and his expertise in the sales side of the business makes him an ideal fit for this Product Manager role. The first module Rinner is targeted to release is a contact management system (CMS). 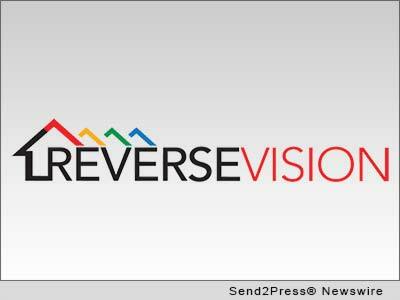 Original Keywords: ReverseVision, Inc., reverse mortgage industry, software and technology provider for the reverse mortgage industry, John Button ReverseVision, Inc. San Diego California SAN DIEGO, Calif.
REFERENCES: Banking News, ReverseVision, Inc., reverse mortgage industry, software and technology provider for the reverse mortgage industry, John Button ReverseVision, Inc. San Diego California SAN DIEGO, Calif.